The 4th National Conclave on Mines & Minerals will be held on 13th July, 2018 at Indore for showcasing blocks which will be auctioned by the states in FY 2018-19 to the potential investors. Union Minister for Mines Narendra Singh Tomar said that it will carry forward the efforts of the Government for strengthening the mineral auction regime as well as help in expediting auctions and bring in greater participation from the stakeholders. He said that the Central and State Governments have been working in coordination with each other to further strengthen the auction regime, and to identify more and more mineral blocks for auction to increase domestic mineral production. 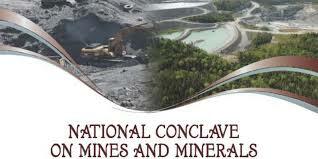 This Mining Conclave will provide unique opportunity to the State Governments to showcase their auctionable mineral blocks with regard to its exploration, mineral resources, transport connectivity from mineral block, policy scenario in State and incentives to attract prospective investors. It will also provide a great opportunity to the investors to identify the mineral blocks and participate in the auction of suitable mineral blocks, the Minister added. Presentations on the different stages in auctioning of a mineral block and its operationalization such as identification and preparation of a mineral block for auction, steps involved in approval of mining plan and grant of statutory clearances, will also be organized. These presentations will be made by the organizations which have expertise in carrying out block preparation activities and nodal agencies responsible for grant of statutory clearances. The conclave would also have an exhibition in which the States would put up stalls to showcase their mineral blocks to be put up on auctions. The agencies concerned with preauction preparations such as Exploration agencies (GSI & MECL), transaction advisors (SBICAP, CRISIL, KPMG), DGPS survey agency (MECON), etc would also put up their Stalls. IBM &MoEFCC would also put up stalls on mining plan and EC & FC processes.  The public sector and private sector companies are being requested to put up stalls on mineral and metal industry overview for better appreciation of mining sector by the investors in terms of making investment decisions. nts, regulators such as IBM & DGMs, explorations entities GSI & NMET, etc. to interact with the mining and allied industry stakeholders.